A cohesive brand & website package to make you truly stand out from the crowd. consistent. strategic. magnetic. The keys to your new brand & website. 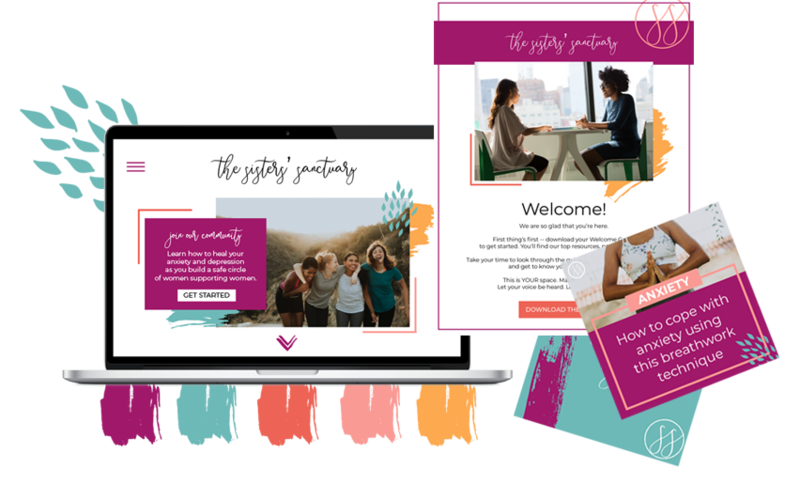 You’re in need of some serious revamping, or maybe you’ve never really established solid branding, and it’s finally catching up to you. You’ve come to the right place because creating a brand & website from the ground up is my favorite way to make magic happen! We’ll start fresh & strategically bring your brand to life across the board. Let’s craft a stunning brand identity whose narrative is told throughout a professional, engaging website that acts like a magnet for your ideal clients & customers. → Print marketing materials: business card, thank you card, post card, etc. Time to answer. The world needs your wholehearted, purpose-driven work.